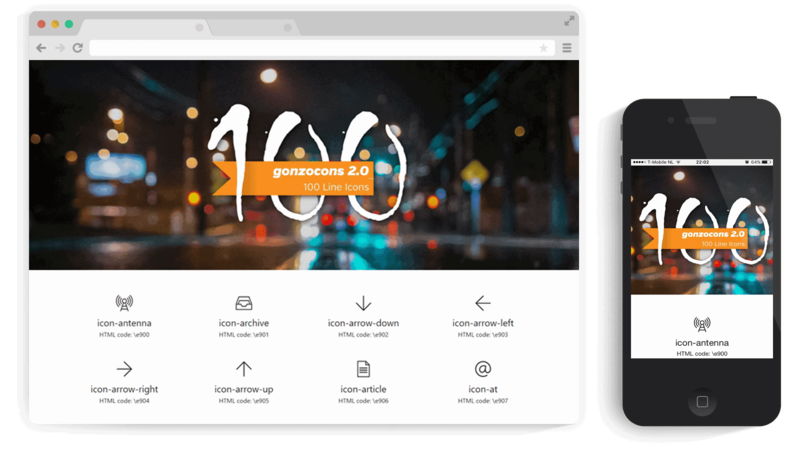 A free icon font containing 100 line icons for web designers and developers called “gonzocons 2.0“, works perfectly and easy to embed in your apps or web projects. These line icons are made in Adobe Illustrator and imported as .SVG files into Icomoon. This icon set contains the most common icons like e.g. icons for navigation, file types, functions, social media networks, etc. The demo website was created using CSS3 Flexible Box Layout Module (in short: CSS Flexbox). I have styled the various elements with a min-width, therefore no Media Queries are needed to get this website fully responsive. 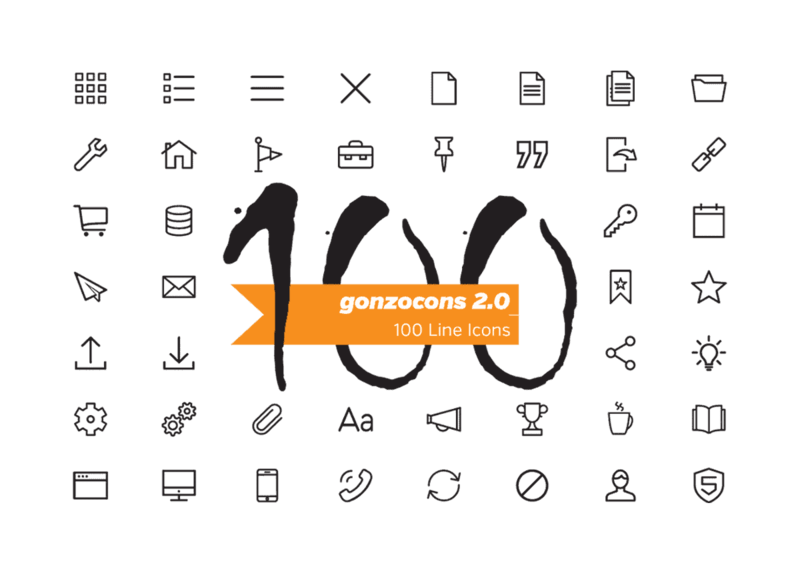 All 100 line icons from this set can be viewed on the demo site, where more information can be found and how to download the icon set. More information about installation and how to embed this iconfont using @font-face can be read in the following article. The line icons look crisp at any size and will shine on any high-resolution display. This open source icon font is designed to be legible down to 12 pixels. This free icon set is licensed under the Creative Commons Attribution 3.0 Unported License, which permits both personal and commercial use. For any reuse or distribution, you must make clear to others the license terms of this work.